Make every drink magical with our magic mug. Pour in a hot drink and watch as the plain black mug magically reveals your treasured images. 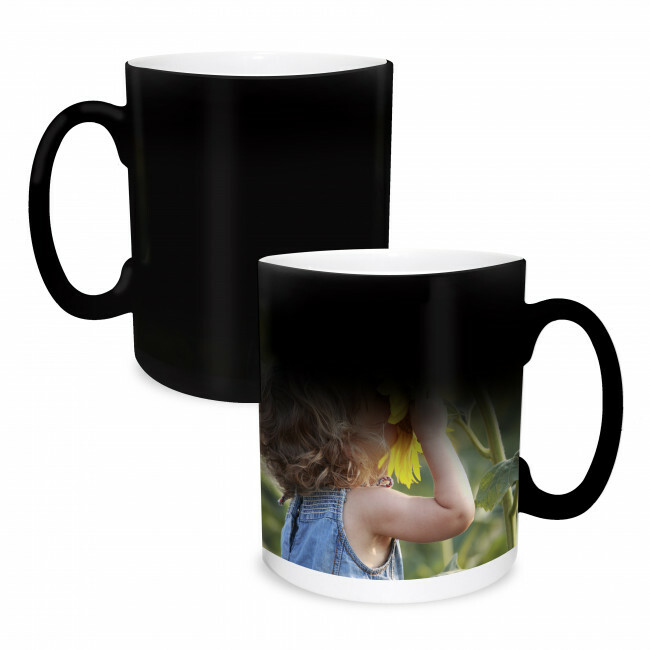 Our heat sensitive mug has a polymer coating where your chosen image is featured underneath a black heat sensitive coating. This coating "disappears" as the mug heats up to reveal your image.